The only thing more important than the style and comfort of the 2019 INFINITI QX80 is safety. Luckily for you, the INFINITI QX80 is as safe as it is stylish. When you drive the new INFINITI QX80 from Bob Moore INFINITI in Oklahoma City, you will be able to ride with confidence knowing that the vehicle is equipped with advanced safety features that ensure your precious cargo will be protected in the event of an accident. These next paragraphs will explain in more detail why the 2019 INFINITI QX80 is one of the safest luxury SUVs on the road and why you need to visit Bob Moore INFINITI – your hometown Oklahoma City car dealership – to get yours today. account. Every INFINITI QX80 comes equipped with INFINITI’s innovative Forward Emergency Braking with Pedestrian Detection system. Never before has your vehicle been able to detect and measure the distance between you and the vehicle in front of you, as well as the speed of both vehicles. If there’s a potential frontal collision, the system gives you an audio and visual warning, guaranteeing you’ll be aware of the potential danger ahead. If the driver doesn’t engage the brakes, they will be applied automatically by the vehicle. This important technology makes the 2019 INFINITI QX80 safer, not just for fellow drivers, but pedestrians as well. There are very few luxury SUVs that provide this service. This shows that if more people drove the INFINITI QX80 the roads would be safer for everyone. Another feature that helps protect you and others on the road is the Lane Departure Prevention system in the INFINITI QX80. If you ever unintentionally drift out of your lane, the 2019 INFINITI QX80 gives you an audible warning to bring awareness to the potentially unsafe situation. When they’re looking for a safe and sound INFINITI, Oklahoma City drivers know to explore the INFINITI QX80 at Bob Moore INFINITI. Advanced Air Bag System virtually guarantees that airbags will be deployed to important areas depending on the exact nature of the collision. All cars are equipped with air bags, but only the 2019 INFINITI QX80 uses the INFINITI Safety Shield® concept to help keep you safe and secure. This layered technology system monitors external conditions to help prevent conditions before they happen. These advanced INFINITI innovations make the INFINITI QX80 the ideal luxury SUV for people who value safety above all else. The 2019 INFINITI QX80 gives you the peace of mind you need to drive with confidence. Forward Emergency Braking with Pedestrian Detection protects not only you but other drivers and pedestrians. Advanced protection features like the INFINITI Safety Shield® prevent accidents from happening using innovative layered technology. It’s rare to find a luxury SUV that is properly equipped for the safety of driver and pedestrian. The 2019 INFINITI QX80 is an important vehicle not just for you, but for the community at large. 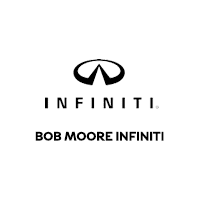 Visit Bob Moore INFINITI in Oklahoma City and test-drive the safe, reliable INFINITI QX80 today.